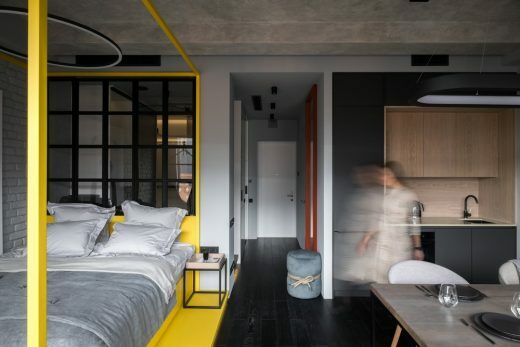 When designing Bolshevik Apartment the main task was to create a stylish interesting living place for periodic residence. 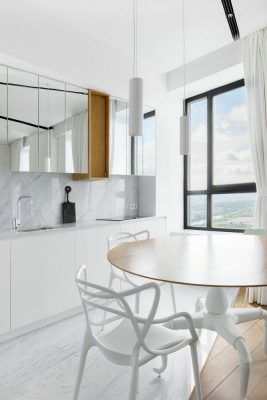 To cover from an atmospheric condensation, to provide a shadow during the sunny summer and to give an electric light during the dark night these are the essential functions needed. 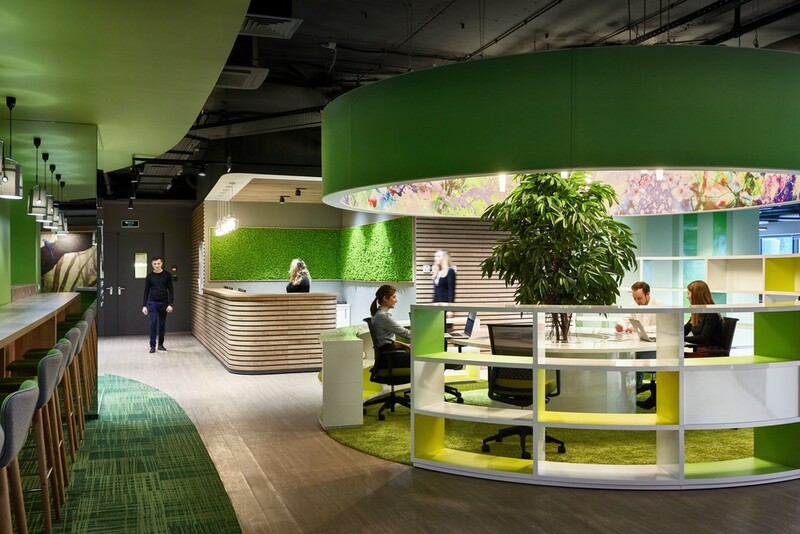 Sberbank, the largest bank in Russia and Eastern Europe, has transformed its traditional office model to an open, transparent and activity based workplace. 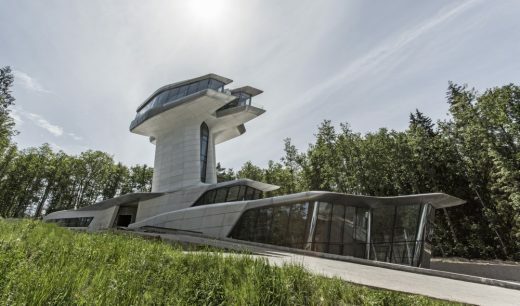 Dramatic contemporary property design by late world-famous Iraqi architect on the north-facing hillside within the Barvikha Forest near Moscow. 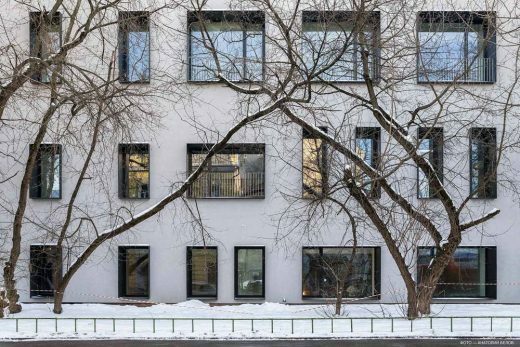 This US architecture office in collaboration with Art-group “Kamen”, recently won the international design competition for residential quarters of the Tushino district. The firm beat Zaha Hadid Architects, Fuksas Architecture, Mad Global, and Tsimalo, Lyashenko & Partners. 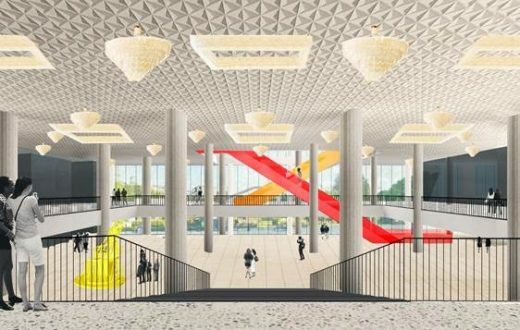 OMA’s renovation plans of the New Tretyakov Gallery on Krymsky Val: the building houses an extensive and important collection of Russian art, including seminal work from Malevich, Kandinsky, Chagall, and Soviet artists such as Aleksandr Deyneka and Vera Mukhina. Designed by an international consortium, Zaryadye Park will be the first large-scale park to open in Moscow in the last fifty years. 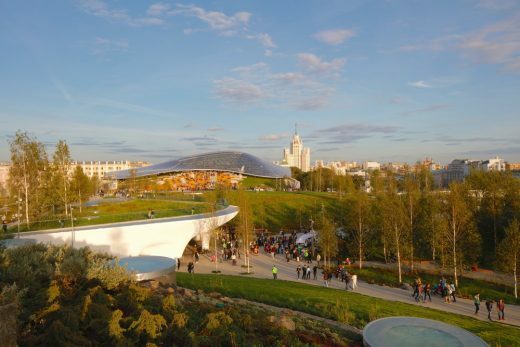 The 35-acre park features an overlook cantilevering 70 meters over Moscow River, five pavilions, two amphitheaters and a philharmonic concert hall. 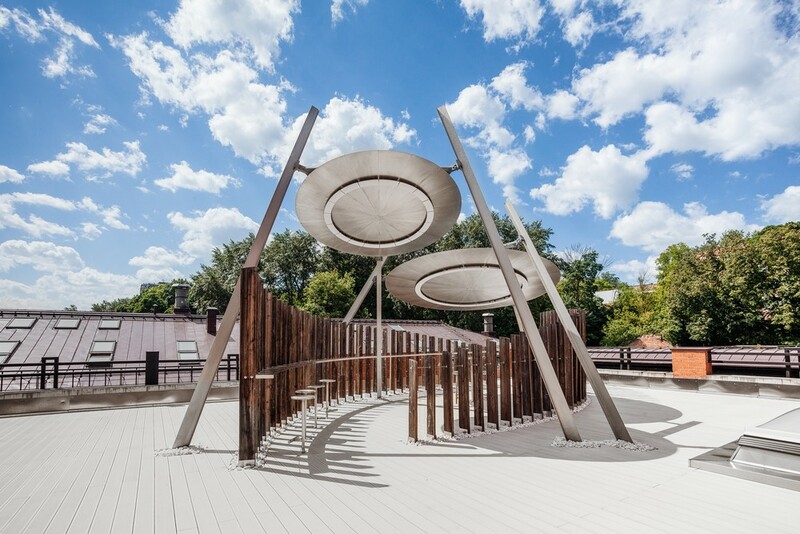 Centrally located, steps away from St. Basil’s Cathedral, Red Square and the Kremlin, Zaryadye Park will be the first large-scale park to open in Moscow in the past fifty years. 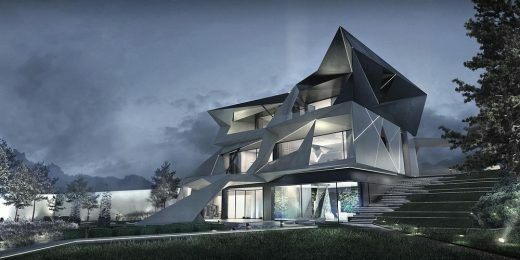 Construction of a unique futuristic private house in the Moscow suburbs. 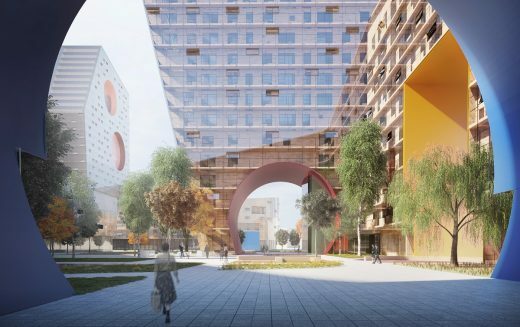 The consortium led by American architects Diller Scofidio + Renfro has been chosen the winner of the two-stage international architecture competition for Zaryadye park held in Moscow. 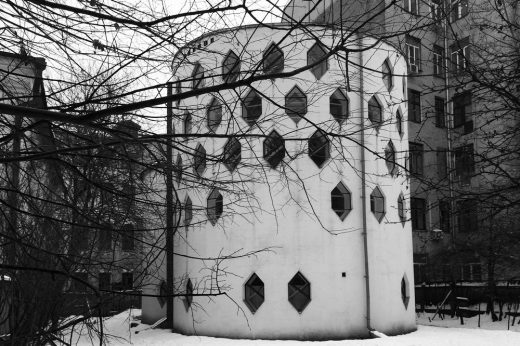 Russian-led TPO “Reserve” came second and the dutch architects MVRDV came third. 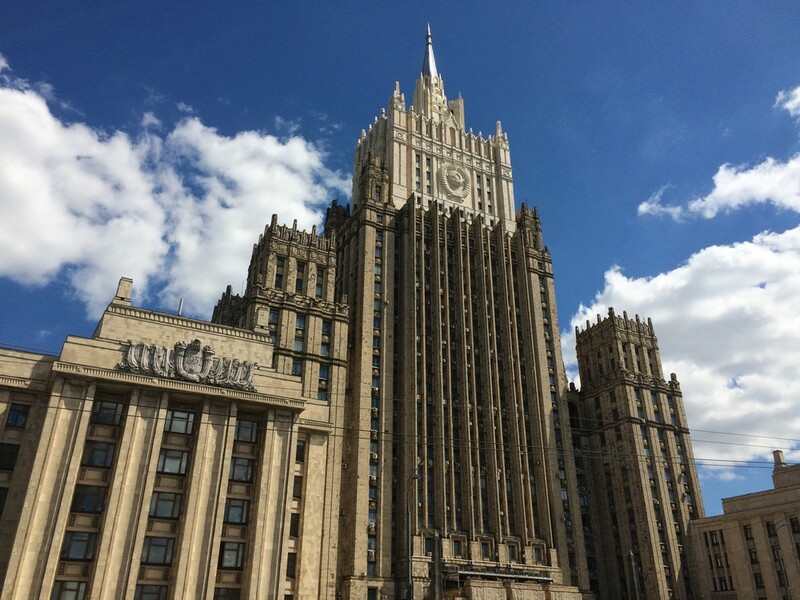 The tallest high rise building in Europe, located just west of the city centre on the river.